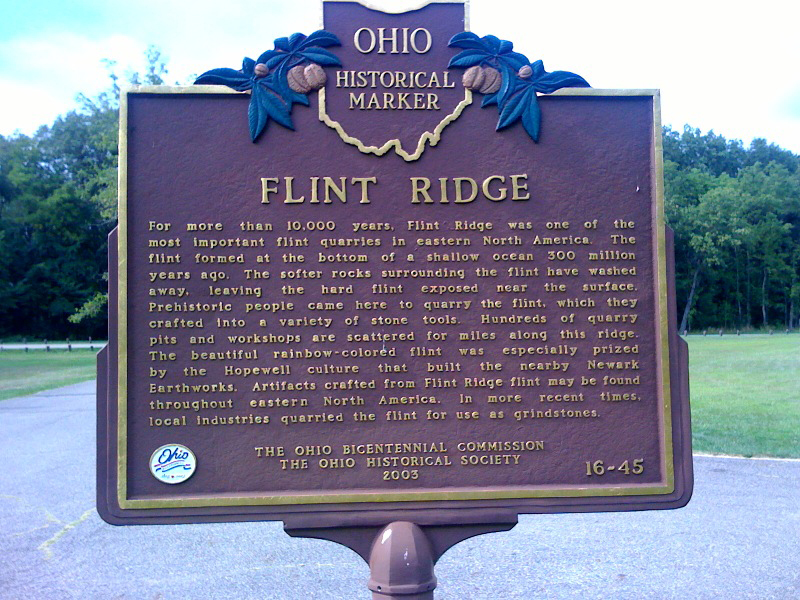 Sign at Flint Ridge Quarries. 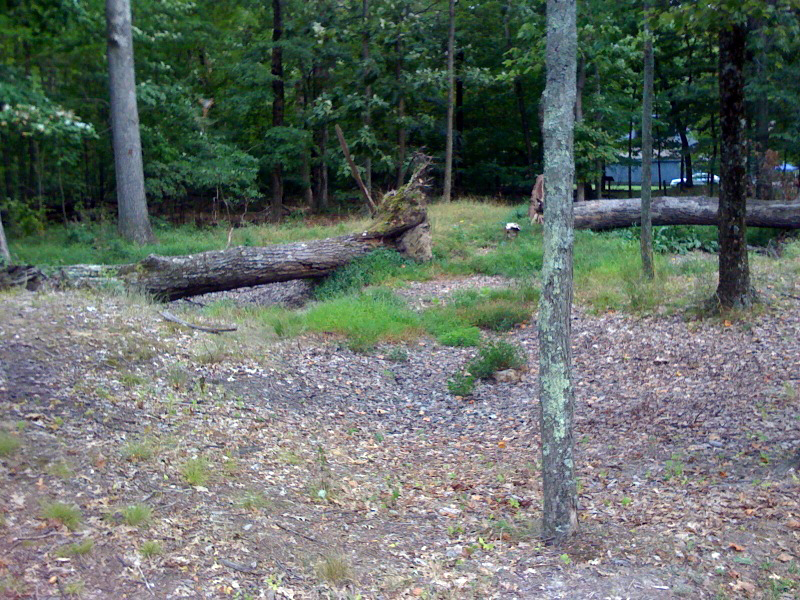 Quarry pits (under treefall) and the Ohio Historical Society in the background. 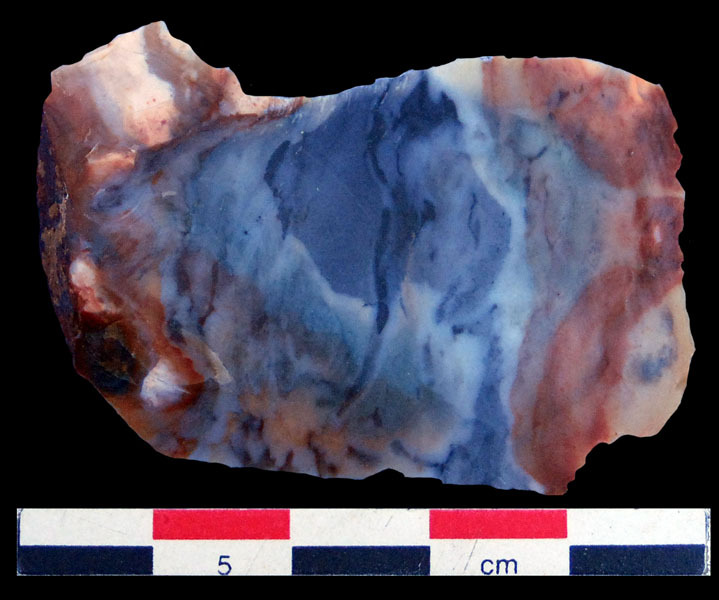 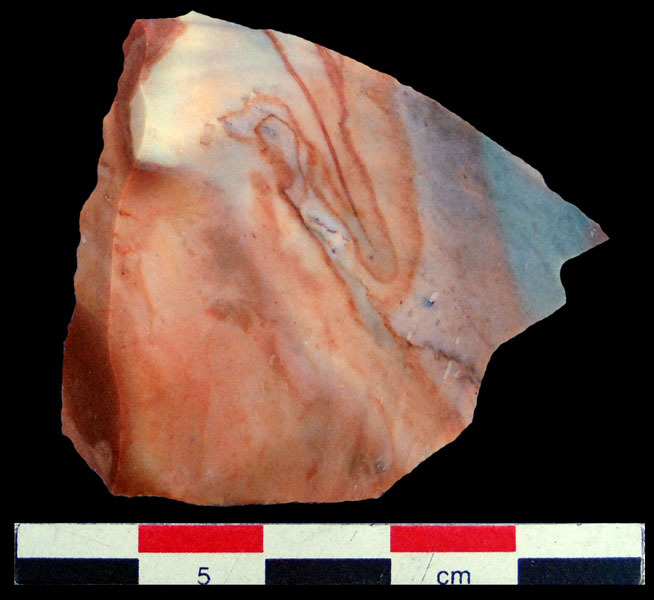 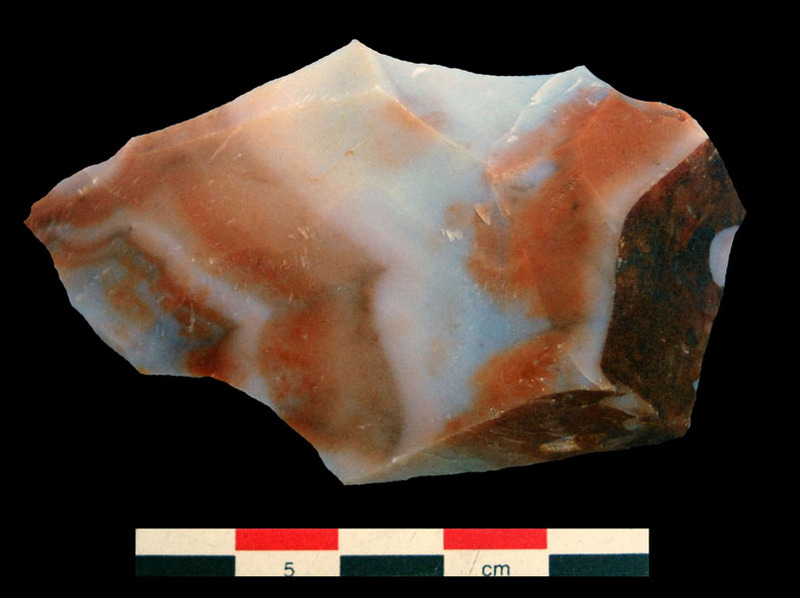 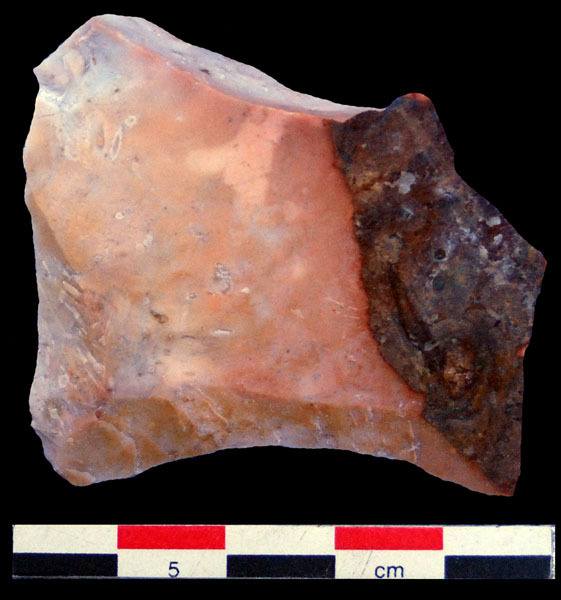 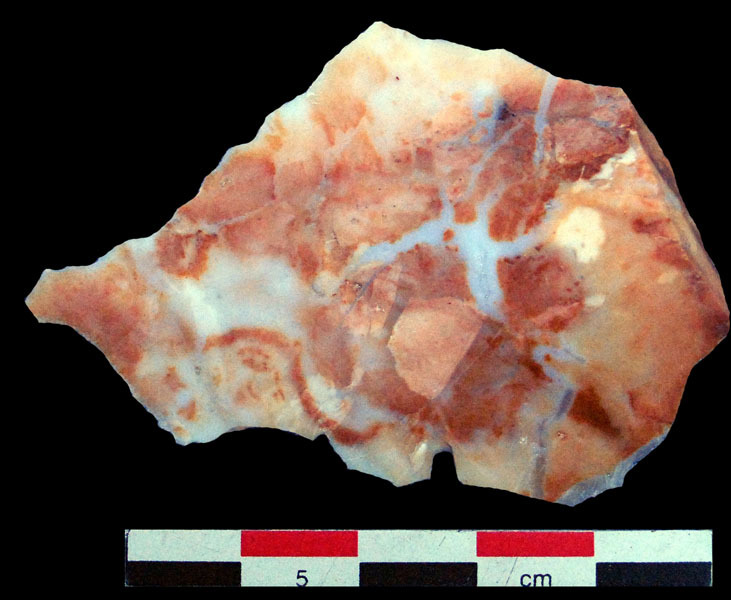 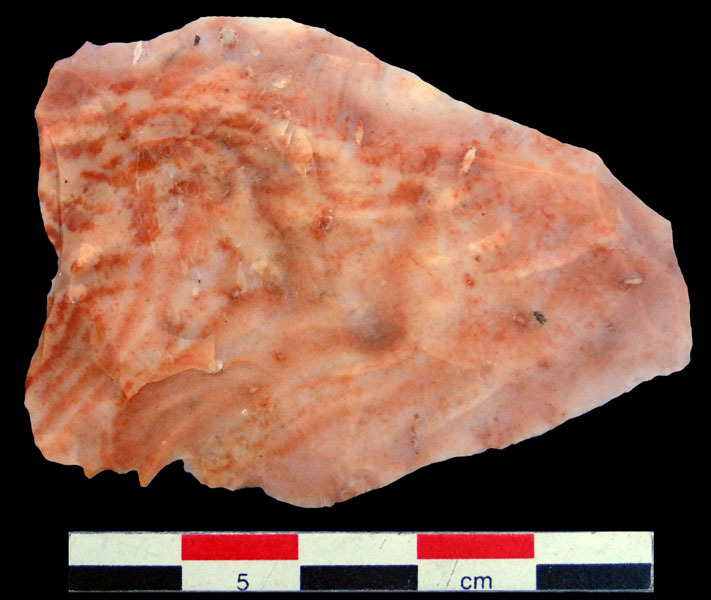 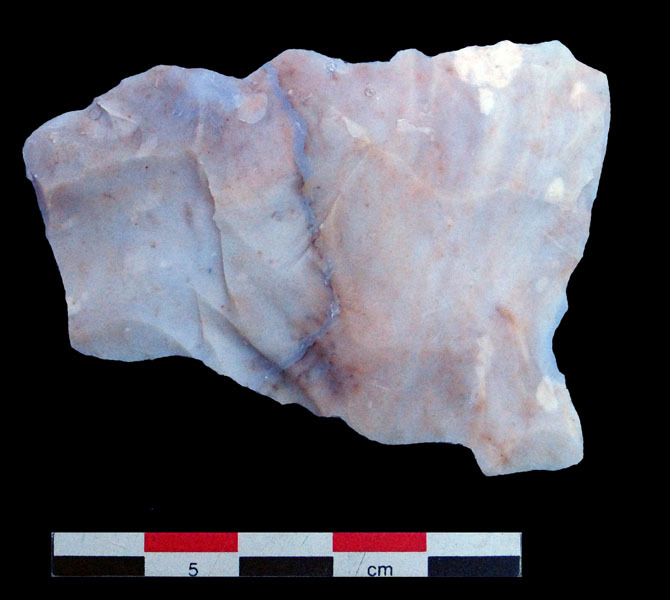 Flint Ridge flake (modern - not ancient).